Closing Date 27th July, 2018. Applications are invited for the MTNF Music scholarship for the 2018 session. The Musical Society of Nigeria (MUSON) in partnership with the MTN Foundation (MTNF), announces entrance examinations for the twelfth (12th) set of the MTNF/MUSON Diploma Course in Music for the 2018 – 2019 academic year. 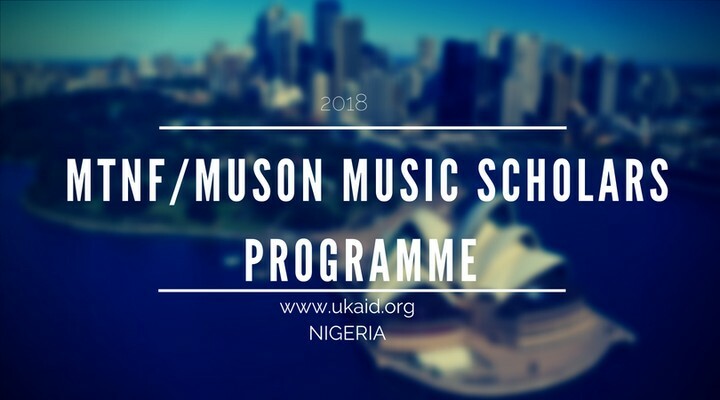 0 Response to "2018 MTNF/Muson Music Scholars Programme"